Only when you want to succeed as bad as you want to breathe, will you be successful. You can get through this. you are bigger than your pain, don’t give up don’t give in. 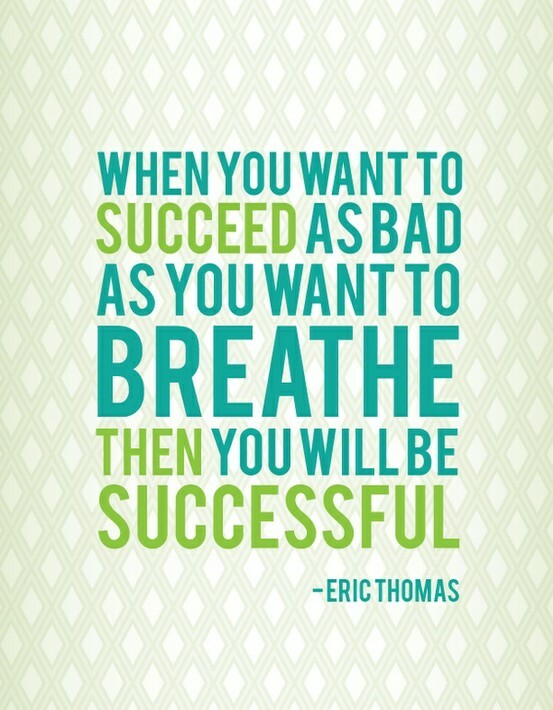 When you want to succeed as bad as you want to breathe then you will be successful. Dr. Eric D. Thomas was born in Chicago, Illinois, USA. 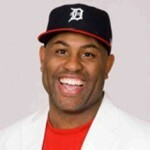 He is an American motivational speaker, author, pastor, educator, and coach. Speeches by Thomas have been widely viewed and are popular on YouTube. He obtained a master's degree from Michigan State University in 2005, and a Ph.D. in Education Administration in 2015. He worked as an academic adviser to disadvantaged students at MSU. He also served as senior pastor at A Place of Change Ministries in Lansing, Michigan. After becoming known as a pastor and motivational speaker, he founded a company to offer education consulting, executive coaching and athletic development. He has given motivational talks to collegiate and professional athletes. He has written several books include: The Secret to Success, Greatness is Upon You, DRT, and A Farm Through Time.